A provision giving nurse practitioners with more than five years of clinical experience the freedom to practice without requiring an oversight agreement from a physician (HB793), allowing nurse practitioners to provide care in rural and poor areas with an undersupply of doctors. Linking these three bills is the fact that the chief patrons of each drew on the expertise of Wilder School Translational Research Fellows Dr. Shelly Smith (an expert on training nurse practitioners) and Dr. Genevieve Siegel-Hawley (an expert on equity in education) in drafting or amending the legislation. Academic institutions aspire not only to create new knowledge, but also hope that the new insights generated by the thousands of highly trained researchers will improve life for the broad community. Yet laments from both academics and policymakers about the gap between them are not hard to find. Bridging that gap is a key role of the Office of Public Policy Outreach and the Translational Research Fellows program. 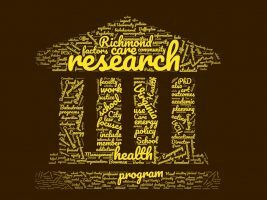 Each year the Office of Public Policy Outreach selects up to 10 faculty members like Smith and Siegel-Hawley from across Virginia Commonwealth University to be our Translational Research Fellows. The research areas for participants are extremely varied, including topics such as oral health disparities, solar energy policy and planning, artificial intelligence, the use of research involving animals and juvenile justice policy. A word cloud from our directory for the 2017 Spring TRF Cohort, featuring the biographies and research interests of our Fellows. Meeting faculty from other disciplines who are also interested in policy is another benefit of the program. “This unique experience [is also] an innovative approach to removing academic silos,” Smith notes. For a new cohort, an initial training highlights the rhythms, systems and key players in the Virginia legislature as well as best practices in communicating with policymakers. Following the training, each Fellow prepares a policy brief in their area of expertise, getting feedback and design help from program coordinators. The challenge of summarizing insights that would fill a 30 page academic paper into two pages is another part of the learning experience. Once briefs are ready, the program sets up three meetings for each fellow with interested policymakers to talk about their area of expertise. In the active year of being a Fellow, faculty usually invest around 40 hours of time in the full cycle of activities. But the Office maintains a connection with fellows even after their active year, continuing to build the ongoing network of relationships.